Vending machines sit outside convenience stores and supermarkets, populate the break rooms in office buildings and cater to hungry travelers at hotels and bus stations. They allow you to sell products without labor costs. But there’s more to making money with vending machines than simply filling them up and collecting the money. Knowing the pluses and pitfalls of the vending machine business can help you avoid mistakes and pocket profits. You can own your vending machines outright, or lease them from a manufacturer. According to Intuit, new machines cost several thousand dollars each, while you may be able to find used vending machines for several hundred dollars. If you own the machine, you’re responsible for repairs, and if the machines become dated you could lose business to more modern machines. You’ll also have to find locations for machines and negotiate with property owners to place the machines on their property. Leasing machines offers the advantage of updated machines, and the leasing company is responsible for repairs. Leasing companies may offer to lease machines that are already established at locations. Specializing in one or two types of machines makes stocking them more streamlined. You can purchase candy or sodas or whatever you wish to sell in large quantities. You’ll learn the quirks and even how to repair common problems on your machines, and you can easily move machines between locations. The National Automatic Merchandising Association reports that canned drink machines account for 40 percent of vending business, with snack machines making up another 19 percent. Hot and cold beverages make up another 8 percent each, other food accounts for another 10 percent and cigarettes 2 percent. 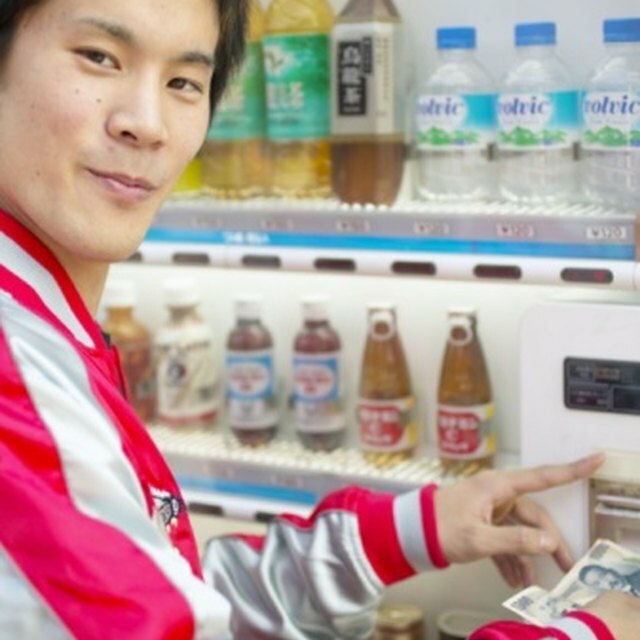 Location determines how much money you’ll make from your vending machines. Places with lots of foot traffic or where people spend time waiting -- such as hospital waiting rooms, bus stations, hotels and office buildings -- do well. Consider the number of people who typically visit or work in a location, the amount of time they spend there and competition from other venders. The National Automatic Merchandising Association suggests new vending machine operators find new customers through Chamber of Commerce and Professional Association membership lists, referrals from associates, newspaper ads and even vending machine suppliers. They recommend observing parking lot traffic at a business. A lot of parking lot traffic means a lot of potential customers. Ads promising easy money with little work lure the unsuspecting into fraudulent vending machine businesses. Problems cited by the Wisconsin Bureau of Consumer Protection include companies that overstate the potential profit of machines, companies that promise profitable locations yet place machines in less profitable areas and leasing or franchise companies that don’t maintain or repair machines. Before doing business with any vending machine supplier, verify that it is legitimate. Check the Better Business Bureau for complaints, ask for references and scrutinize the contract. While no one can guarantee a specific level of income from a vending machine, you should have the option of relocating the machine to a different location after a period of time if earnings do not meet a minimum level. In addition to the cost of your vending machines and supplies to fill them, you may need to purchase state and local sales tax licenses, as well as business licenses. You’ll need a way to transport your machines and supplies and you’ll have the cost of gas to regularly drive your vending route. You’ll also need insurance for your machines, in case of damage from fire, weather or vandalism. Figure these costs when you’re considering whether to invest in vending machines. Intuit Quickbooks: Can You Really Make Money With Vending Machines?